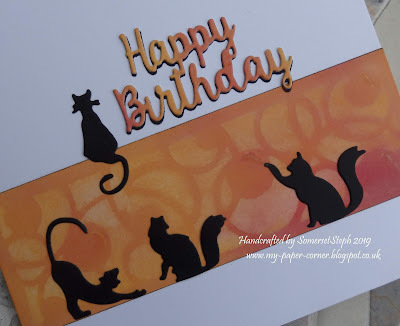 Having seen the latest challenge over at Just Add Ink #419...Just Add A "Twist" to "use something in a way that it wasn't intended" got me really thinking then I remembered a craft magazine article I had bookmarked to try. 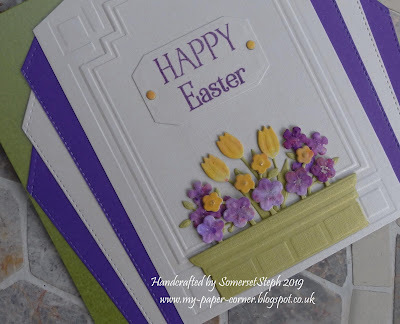 These two small floral cards were the result. The article used low tack tape but who hasn't got a little-used pile of peel offs in their crafty stash - they work just as well! I also didn't want to spend time cutting tape into strips either. 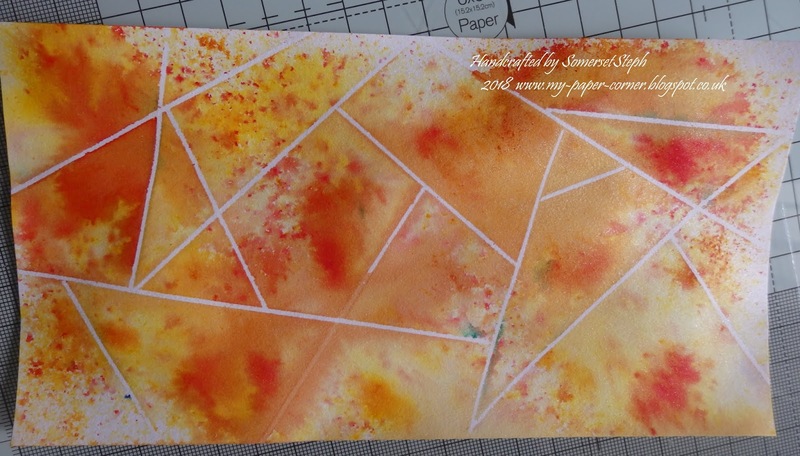 My background was created on watercolour card, adding brusho paints, spritzing with water, once dry removing the peel offs to reveal the white geometric pattern. 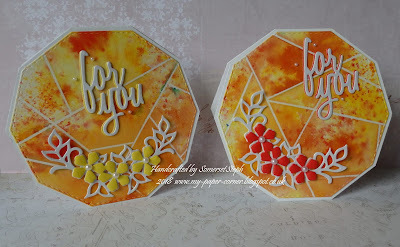 After die cutting the decagon shape I made my own card bases with a top fold - overall size approx. 4". I added a small die cut floral cluster and mini sentiment choosing colours in red and yellow as we're still enjoying lovely hot weather and that tied in with another challenge over on docrafts too. 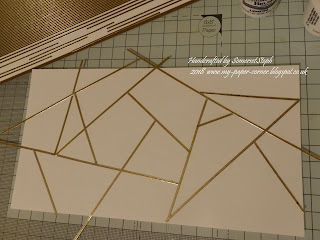 Such a brilliant way to re purpose the peel offs to create your lovely geometric pattern, Sue! 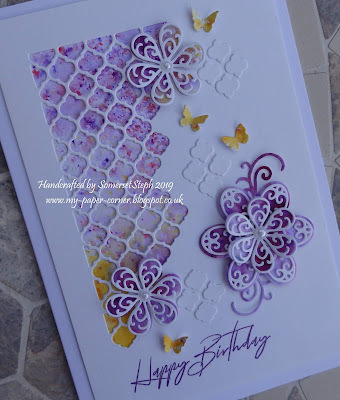 The layers of brusho have blended so beautifully and I love how you’ve continued th geometric theme to your card shapes too. Thanks for sharing with us at Just Add Ink this week. That is a clever repurposing Steph! 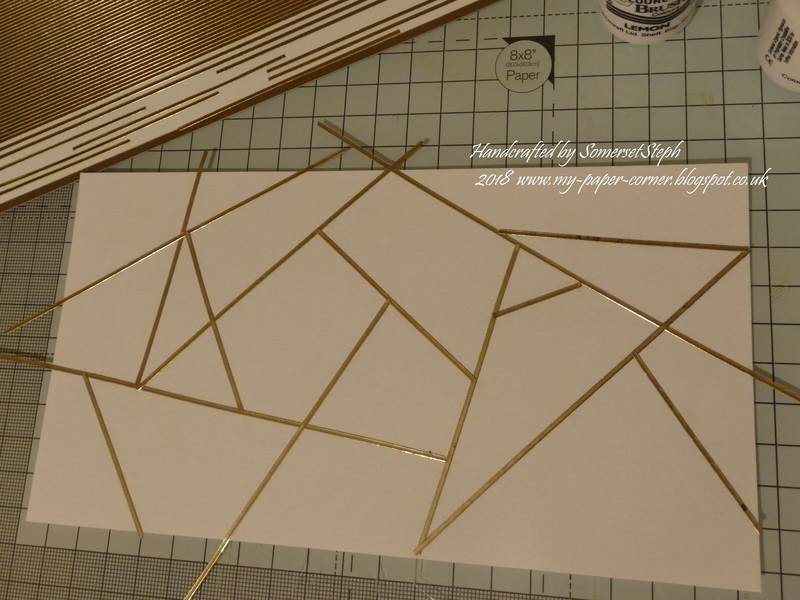 I love how delicate the lines are and the really striking geometric patterns you were able to create. Thanks for joining us Just Add Ink this week.